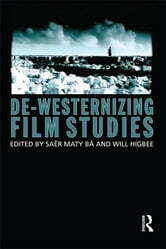 De-Westernizing Film Studies aims to consider what form a challenge to the enduring vision of film as a medium - and film studies as a discipline - modelled on ‘Western’ ideologies, theoretical and historical frameworks, critical perspectives as well as institutional and artistic practices, might take today. The book combines a range of scholarly writing with critical reflection from filmmakers, artists & industry professionals, comprising experience and knowledge from a wide range of geographical areas, film cultures and (trans-)national perspectives. In their own ways, the contributors to this volume problematize a binary mode of thinking that continues to promote an idea of ‘the West and the rest’ in relation to questions of production, distribution, reception and representation within an artistic medium (cinema) that, as part of contemporary moving image culture, is more globalized and diversified than at any time in its history. In so doing, De-Westernizing Film Studies complicates and/or re-thinks how local, national and regional film cultures ‘connect’ globally, seeking polycentric, multi-directional, non-essentialized alternatives to Eurocentric theoretical and historical perspectives found in film as both an artistic medium and an academic field of study. 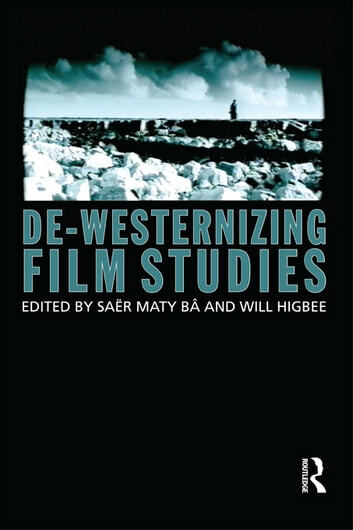 The book combines a series of chapters considering a range of responses to the idea of 'de-westernizing' film studies with a series of in-depth interviews with filmmakers, scholars and critics.